The Salvation Army’s Stanmore House in inner-Sydney was a beautiful location for an Area Leadership Team missional event involving two Salvation Army Aged Care Centres, another aged care centre and various inner-west Salvation Army expressions. 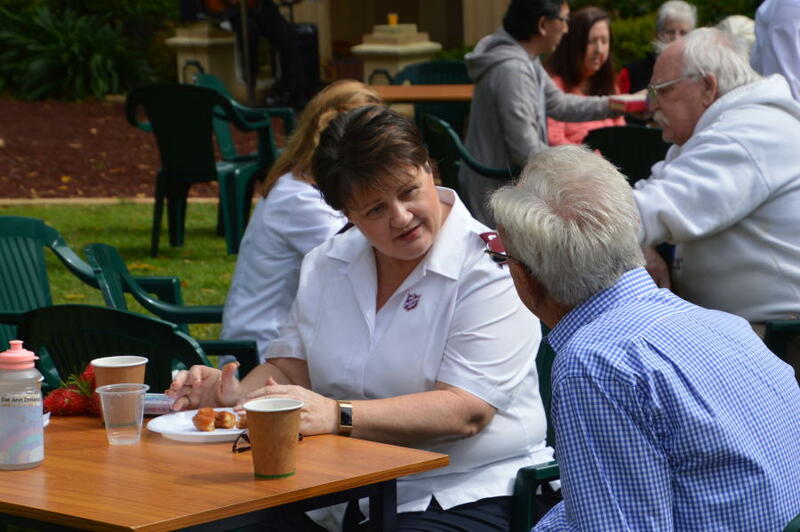 A morning-tea garden party at Stanmore House conference and training centre in Sydney brought together different expressions for mission and ministry, showing the new Area Leadership Team structure in action. The Salvation Army introduced Area Leadership Teams earlier this year, in an effort to get all mission expressions together on a regular basis to find ways to collaborate better, in order to live out the mission of the Salvos in that area. In Sydney’s inner-west, at one of the first meetings, representatives from each expression talked about the joys and challenges that they faced. The chaplain at Balmain’s Montrose Aged Care Plus Centre, a centre for ageing men with behavioural and mental health issues, said it was often challenging to organise appropriate or suitable outings. 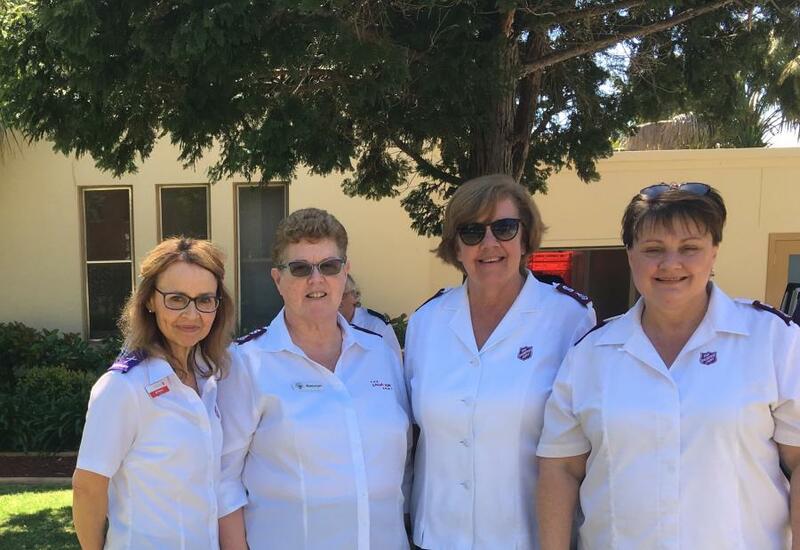 “We are fairly restricted with a lot of our men as to where they go, because socialising is not something that is easy for some of them,” said Montrose chaplain, Major Cheryl Kinder. Upon hearing this, the manager of Stanmore House, Major Raewyn Grigg, suggested that the men come to her centre, which has lovely gardens and grounds and gates that can be locked for their safety. “Can we come too?” piped up the chaplain from Maybank Aged Care Plus Centre in Dulwich Hill. On the day of the Garden Party, the sun came out after many days of rain and residents from Montrose and Maybank Aged Care Plus Centres arrived at Stanmore House where there was an air of excitement. They were greeted by staff who served them a delicious array of morning tea, enjoyed live music and interacted with each other through playing games and chatting. An invitation had also been sent to the non-Salvation Army Aged Care Centre across the road from Stanmore House, with around 20 residents and staff attending from there as well, including the Inner-West Area Leadership Team members (pictured below right) Chaplain Jill Whittle (Maybank Aged Care Centre), Major Raewyn Grigg (Manager, Stanmore House), Major Beth Twivey (Inner-West Area Officer) and Major Cheryl Kinder (Chaplain, Montrose Aged Care Centre). “There was a great vibe and energy, lovely food, good music and the games,” said Major Twivey, who shared a short message from the Bible and prayed during the event. One man, David*, had grown up in the suburb of Stanmore but hadn’t been back in many years. He was delighted to take a walk and see the site of his old family home, his old school and the café where he used to buy milkshakes as a kid. 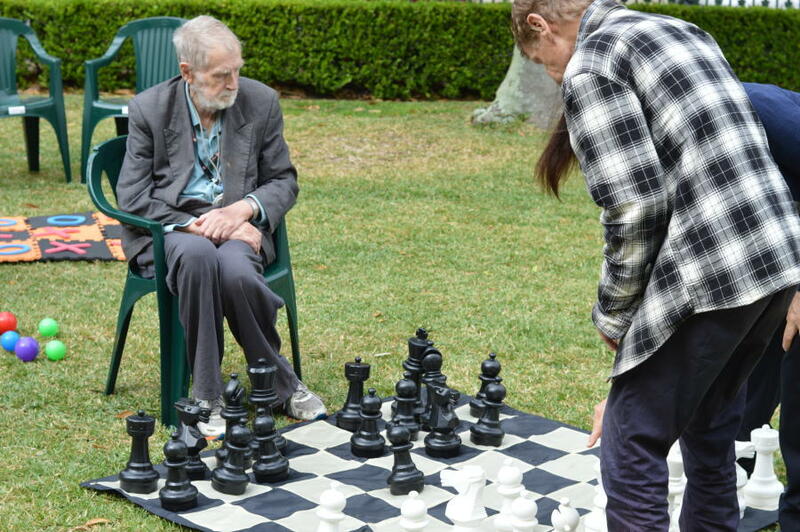 Another man spent the entire morning at the large chess set that the inner-west Youth Team had lent Stanmore House for the event. “He’s a chess player,” said Major Kinder (pictured right). “He sits every day at his table [at Montrose] with his chess set, set up, waiting for someone to come and play chess with him. That’s all he does, he just sits there every day in the hope that someone will come and play chess with him. “I’m sold on ALT groups,”said Major Kinder. “I’m sold on working collaboratively. Partnerships are just huge. What we can do working as a team is so much stronger than trying to do it on our own.